I recently got the GadgetVerge Audio Xtreme Bluetooth Speaker out on a whim. The 799php proved a good investment especially when the user is both always on-the-go and a music aficionado. In every adventure we go to, every challenge we accept along the way, it pays to bring the bare essentials. Phone+earphone, laptop, USB charging dock, digicam and video stabilizers are a must-have for travel bloggers and outdoor lovers. or so I thought. 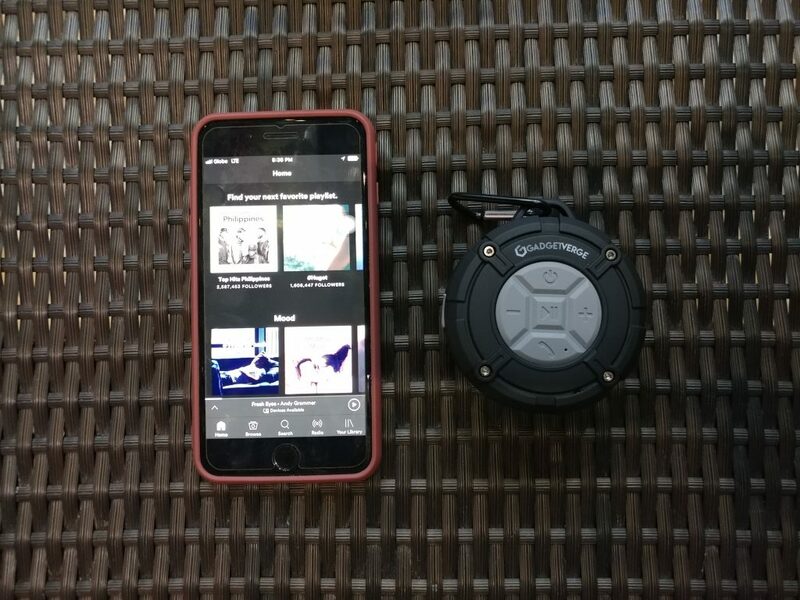 Enter this little black contraption – The GadgetVerge Audio Xtreme Wireless Bluetooth Speaker. 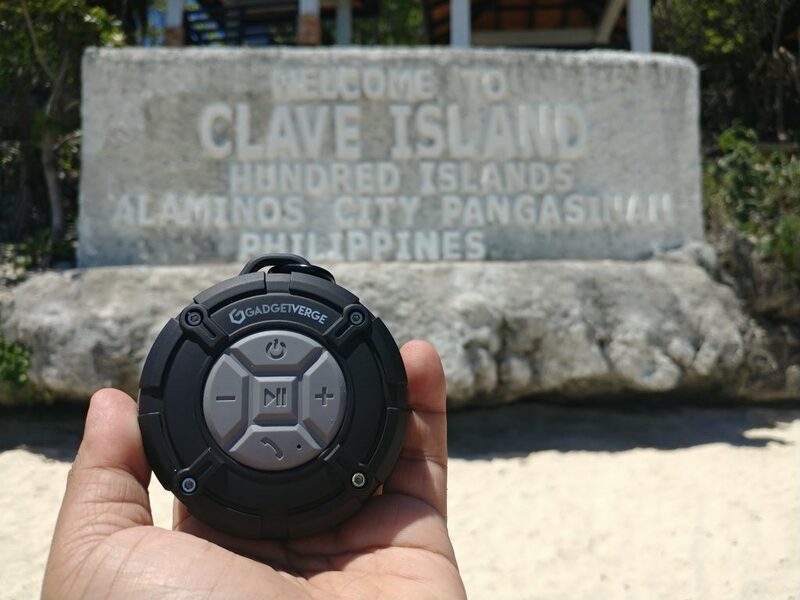 The Xtreme Wireless Bluetooth Speaker from GadgetVerge Audio became one of the most useful and beloved tech I have with me in my Bolinao-Alaminos travel. The high-grade aluminum carabiner secured the device even when I just chained it to my backpack zipper. No need to bury it deep in my backpack and dig it up back when I’m to use it. 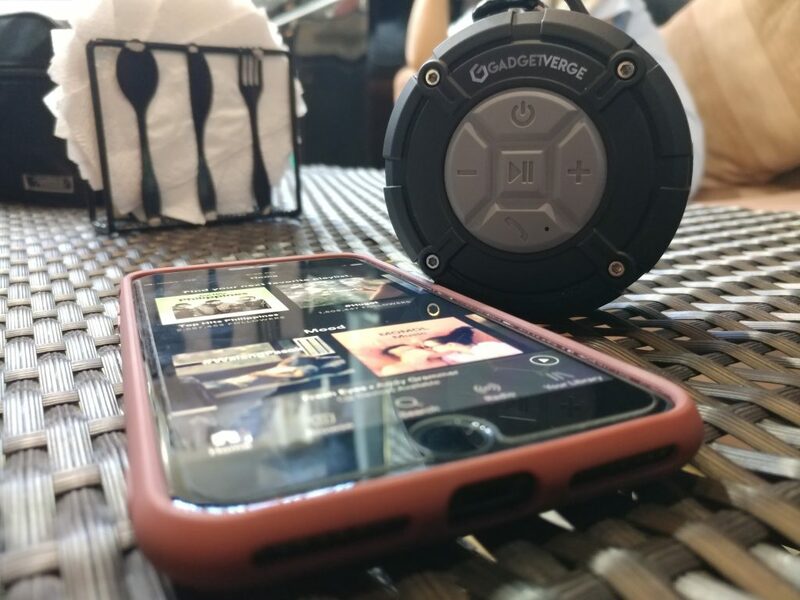 The GadgetVerge Xtreme is just a perfect match for the iPhone 7+ (or any other smartphone/laptop with Bluetooth capability) that allows you uninhibited listening pleasure – no wires. Having charged the device for a maximum of two hours (I read the instructions, swear! ), it lasted me the whole day’s activity in heavy usage. Users will definitely love the rugged design. The device is made up of premium plastic with rubbery finish making it light and handy. 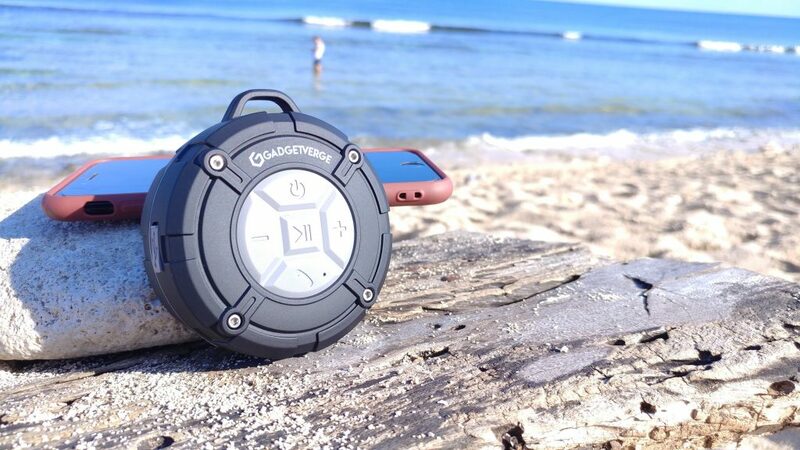 It also helped that this device is IPX7 which allows users to enjoy it on the beach side and not be afraid of getting it wet. The GadgetVerge Xtreme has IPx7 rating. Whether running, biking, climbing or taking a dip, this baby will be there for you. It is surprisingly great in accepting calls. All in the push of a button. We had to use it so we can coordinate with the resort administrator. Of course, the quality will be dependent on the reception or signal strength or your network. But otherwise, it came in loud and clear. The only problem we got was when it is paired with an iPhone 7+. It literally projects the tapping sound. But that is just simply a quirk on the IOS Operating System. When I used it on my Android (LG V20, the smartphone I use to take photos here), it was perfect! 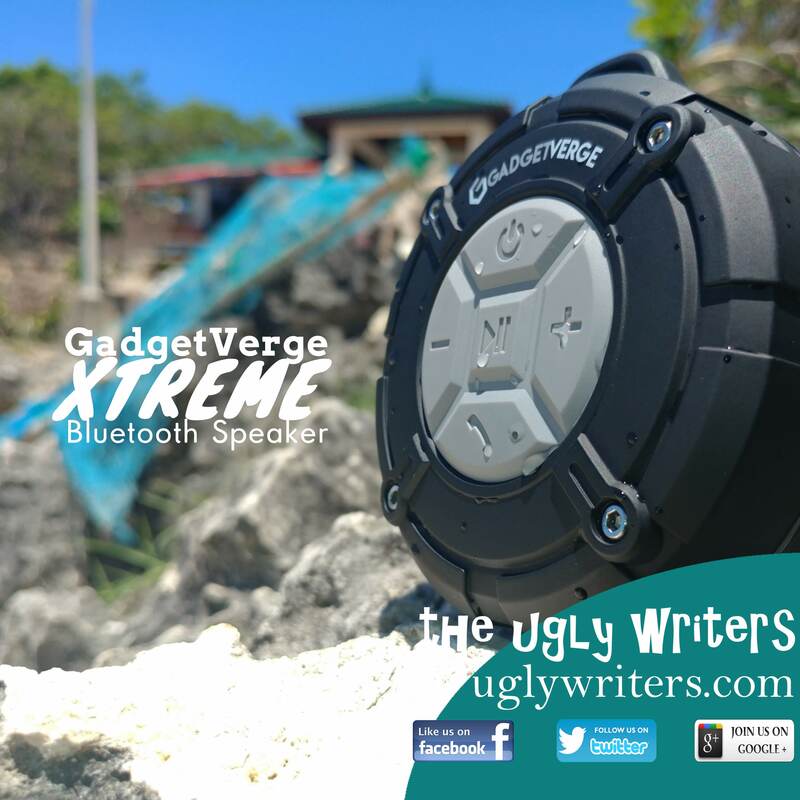 The GadgetVerge Xtreme Bluetooth Speaker is a great addition to your growing travel and adventure to-bring list. 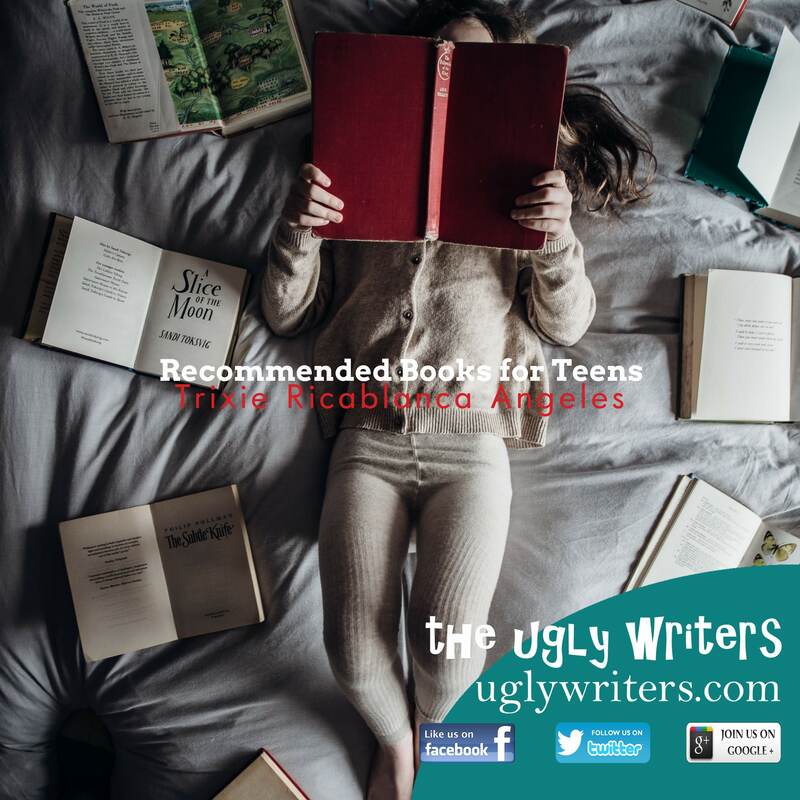 Nay – it’s a must! For an affordable price of 799php, you get to share your music with friends or loved ones and not be afraid of the usual wear and tear of life. Check out how I bought this device here. I’ll just leave this one here for a quick tease.